Dr. Mohamad Bin Awang is currently working as Senior Lecturer at School of Ocean Engineering, Universiti Malaysia Terengganu (UMT). 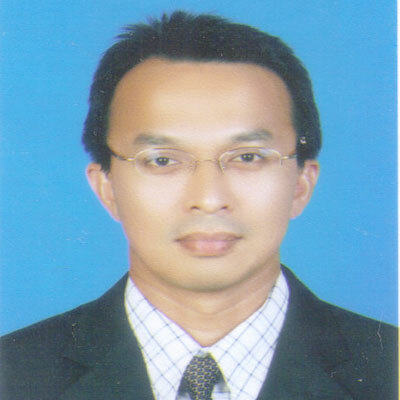 He has completed his Ph.D. in Polymer Composites from Universiti Sains Malaysia, Malaysia. His area of research interest focuses on Polymer Blends/Composites, and Renewable Materials. He has 15 publications in journals as author/co-author. Rohani, M., M. Awang, A. Ali, A. Noraaini, M. Aidil and A. Abdullah, 2014. Properties of Alpinia galanga agro-waste-HDPE composites with addition of MA-g-PE and eco degradant. Appl. Mech. Mater., 534: 75-80. Awang, M., M. Rohani, A. Asmadi, A.A.M. Aidil and A. Nora'aini, 2014. The use of agro waste Alpinia galanga fibers as reinforcement in polyethylene composites. Int. J. Adv. Bio-Inf. Bio-Technol., 1: 50-54. Ali, A., R.M. Yunus, M. Awang, A. Johari and R. Mat, 2014. Effect of cellulose acetate phthalate (CAP) on characteristics and morphology of polysulfone/cellulose acetate phthalate (PSf/CAP) blend membranes. Appl. Mech. Mater., 493: 640-644. Ali, A., R.M. Yunus, M. Awang and S. Hamzah, 2014. Influence of shear rate on proteins separation, molecular weight cut-off and average pore size of polysulfone blend membranes. Adv. Mater. Res., 974: 247-251. Ali, A., R.M. Yunus, M. Awang and R. Mat, 2014. The effects of evaporation time on morphological structure of polysulfone/cellulose acetate phthalate/polyvinylpyrrolidone (PSf/CAP/PVP) blend membranes. Appl. Mech. Mater., 695: 77-80. Ali, A., M. Awang, R. Mat, A. Johari, M.J. Kamaruddin and W.R.W. Sulaiman, 2014. Influence of hydrophilic polymer on pure water permeation, permeability coefficient, and porosity of polysulfone blend membranes. Adv. Mater. Res., 931-932: 168-172. Awang, M., M.S. Chik, M. Rohani and A. Noraaini, 2013. Utilization of agro-waste A. galanga natural fibers in composites. Adv. Mater. Res., 634: 1139-1142. Mustapha, R., M.S. Chik and M. Awang, 2012. Study on renewable resource-based composites from agro waste Alpinia galanga natural fibers. Adv. Mater. Res., 626: 756-761. Awang, M. and H. Ismail, 2009. Weatherability of polypropylene/waste tire dust (PP/WTD) blends: Effects of trans-polyoctylene rubber (TOR) and dynamic vulcanization. J. Vinyl Addit. Technol., 15: 29-38. Ismail, H., M. Awang and M.A. Hazizan, 2008. Natural weathering of polypropylene and waste tire dust (PP/WTD) blends. J. Polymers Environ., 16: 147-153. Awang, M., H. Ismail and M.A. Hazizan, 2008. Processing and properties of polypropylene-latex modified waste tyre dust blends (PP/WTDML). Polymer Testing, 27: 93-99. Awang, M., H. Ismail and M.A. Hazizan, 2008. Preparation and characterization of polypropylene/waste tyre dust blends with addition of DCP and HVA-2 (PP/WTDP-HVA2). Polymer Testing, 27: 321-329. Awang, M., H. Ismail and M.A. Hazizan, 2007. Polypropylene-based blends containing waste tire dust: Effects of trans-polyoctylene rubber (TOR) and dynamic vulcanization. Polymer Testing, 26: 779-787. Ismail, H., M. Awang and M.A. Hazizan, 2006. Effect of waste tire dust (WTD) size on the mechanical and morphological properties of polypropylene/waste tire dust (PP/WTD) blends. Polymer Plastics Technol. Eng., 45: 463-468. Ali, A., S. Suratman, Y.C. Soon and M. Awang, 2003. Distribution of dissolved metals in the nerus river. Proceedings of The 17th Symposium of Malaysian Chemical Engineering, December, 29-30, 2003, Terengganu, Penang, Pp: 909-913.